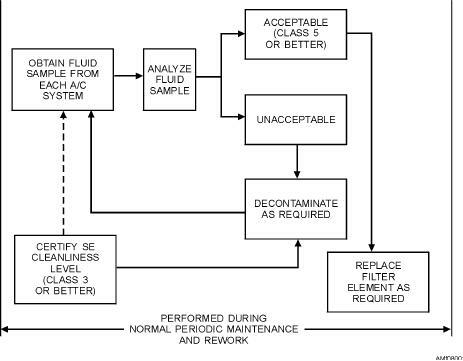 and fluids are requirements for each maintenance level. introduced into systems or components. cleanliness and purity of fluid in the hydraulic system. Fluid sampling and analysis is performed periodically. used. Properly cap hoses when they are not being used. satisfactory condition and are checked periodically. compatible with flow requirements of the system. a thin film of grease, MIL-G-81322.